Apple’s iPod is the cornerstone of portable digital music as we know it today. So how did it inspire music lovers, and heritage interpreters? It took 3 years before the iPod really gained traction, and like many of Apple’s products, it wasn’t the first of its kind. 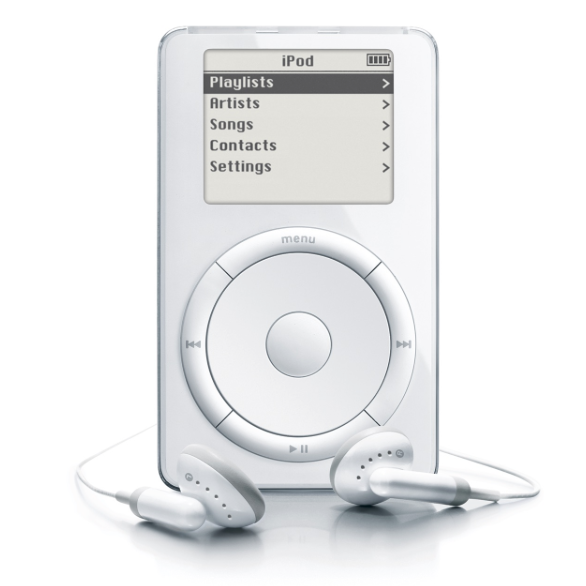 MP3 players had been around for a few years previous, but the iPod could hold more music and was complemented by iTunes. This software made transferring music much easier than anything before it. Back in 2004 mobile phones still had one primary purpose: used to make phone calls. Very few handsets had an inbuilt MP3 player, let along web browsers or GPS. 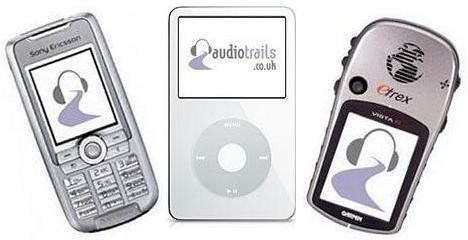 It was the iPod that led to the Audio Trails being established in 2006. Two years previous I had been working for the Peak District National Park and was charged with interpreting the perceived ‘wild’ moorlands in the Dark Peak. Panels were no use except in the few car parks that dot the landscape. We needed something unobtrusive that could be used by walkers when they were knee deep in the heather and bogs! Driving back through the Chatsworth Estate one day on my way home I had my eureka moment. If you could download music onto one of these new fangled iPods – the device everyone was talking about – why couldn’t you download an album of narrative that guided people from one place to the next? Many artists, such as Pink Floyd, see their albums as a journey, this idea was really no different. I would use the spoken voice, sound effects and even some ambient background music to create the first downloadable audio guides – or audio trails – in the UK. Audio guides did exist before this moment, but they were restricted to museums or art galleries who would hand out an old walkman with a guided tour on cassette tape! Audio trails allowed visitors to download MP3 files from a website before their visit, upload it to their own iPod (or other MP3 player) and listen to a ‘virtual’ Ranger guide them through a walk in the Peak District. The idea was a success. The first five ‘Audio tours of the moors‘ for the Moors for the Future project won several awards and are still available today. It soon occurred to me that there was a market for this new form of interpretation – digital interpretation. Some of the more traditional interpreters frowned at this new approach. My view was that digital audio trails offered interpreters ‘another string to their bow’ when devising a scheme to engage and inform visitors and help them appreciate our special heritage. Today there are millions of search results for the word ‘audio trail’, compared to just a handful 10 years ago. We led the way. One of our early audiotrails.co.uk website banners. Today’s smartphones do all of this (and much more) in one device! But let’s be honest, there have been many digital interpretation fads. Augmented Reality, QR codes, bluetooth, NFC have struggled to have a strong and meaningful impact on heritage sites. Yet other digital tools have. In 2010 we launched our first location aware apps. This was a natural step for our business as a GPS-triggered app could tell people exactly where to listen to the audio, which could also be enhanced with text, images and even video. Since then we have developed over 50 iOS and Android apps for clients across the UK. In 2017 we will be launching a web version of our location-aware native apps. The reason…as network coverage continues to extend into remoter parts of the countryside – 3G and 4G are no longer confined to cites – and web browsers can undertake tasks that were once just the reserve of native apps i.e. tracking your location, we have developed a cross-browser solution that will tackle some of the barriers of native apps. Again this new solution will offer another string to the interpreters bow rather than the definitive answer. We are really excited about this product. Please get in touch if you’d like to learn more about our plans. But it all began with the humble iPod, the little device that revolutionised music, and interpretation. Happy 15th birthday little fella!